So I’m back from Brighton, 5 hours of travelling each way and 2 hours of queuing was definitely worth it for front row seats and a prime view of a cat that really wanted to be a part of the show, but that’s not what you came here to read about, so let’s look again at the Magnet system. The top layer is the sound board. 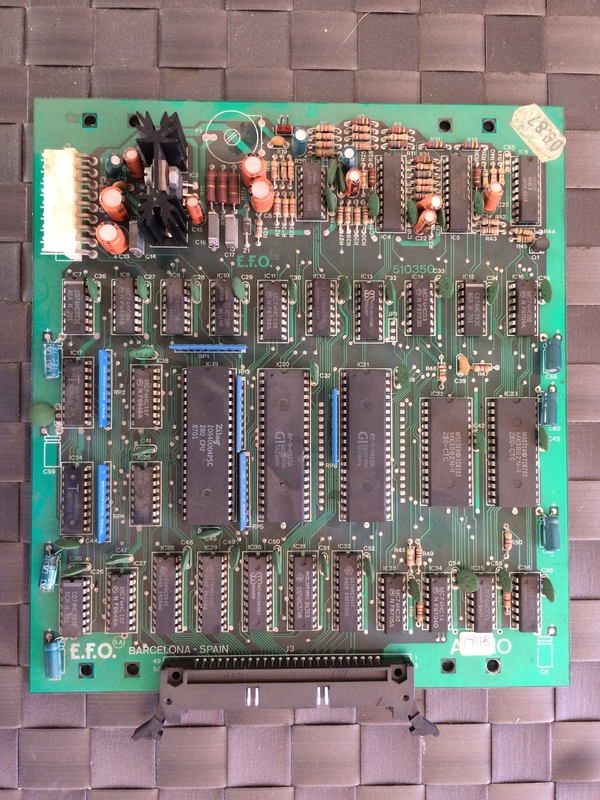 This contains a Z80 CPU, 2 Z80CTC peripheral chips (timers / interrupt generators), 2 AY 8910 sound chips and an OKI M5205 ADPCM playback chip for a single channel of sampled sound. 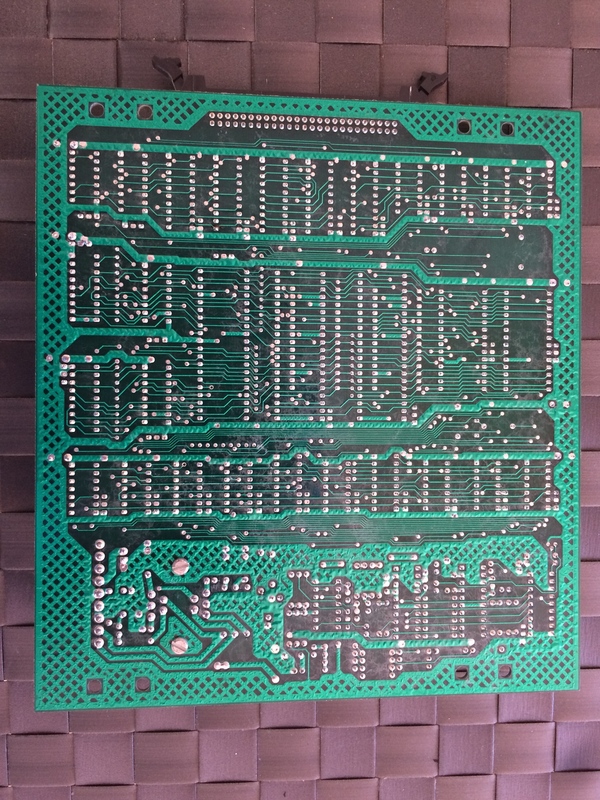 The 2nd PCB is the master board, this board drives everything else. 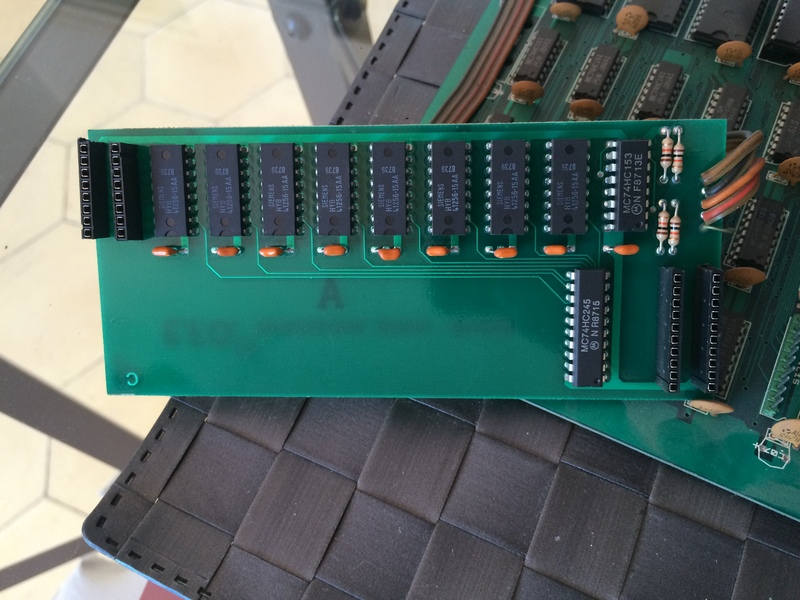 It contains a Z80 CPU, the BIOS rom, 2 Z80 PIO peripheral chips (used for configurable I/O ports) and a SAB 2797B (floppy drive controller) The Floppy drive also connects to this PCB. There’s also a small sub-board on here covering some of the PCB, this contains a selection of RAM chips, I’ll look at it in more detail later. 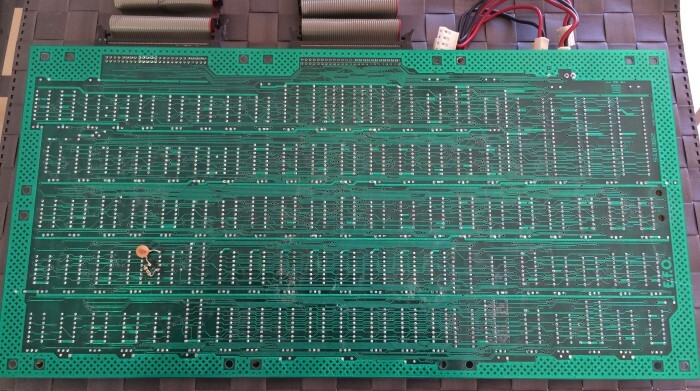 The 3rd PCB is a ‘Plane’ board, it is used to generate a single background plane. 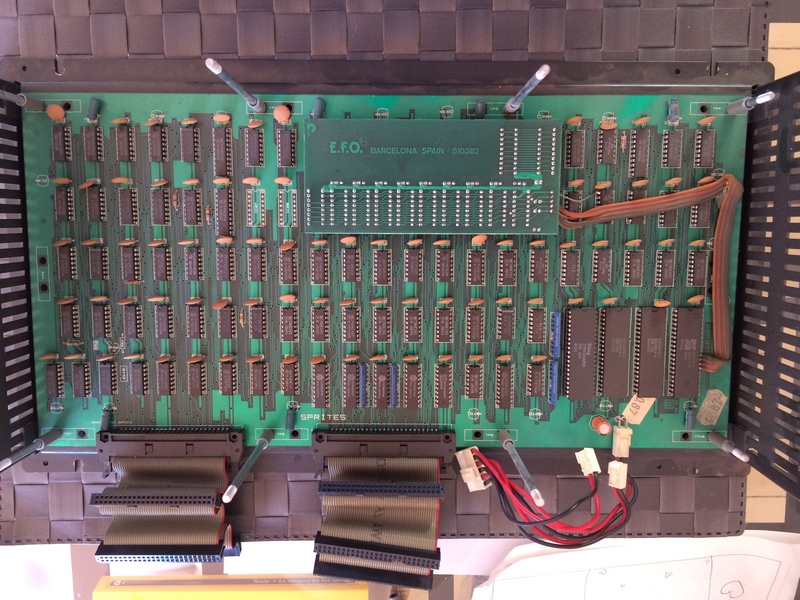 Hardware-wise the main components are yet another Z80 CPU, and like the Master PCB, 2 Z80 PIO peripheral chips. 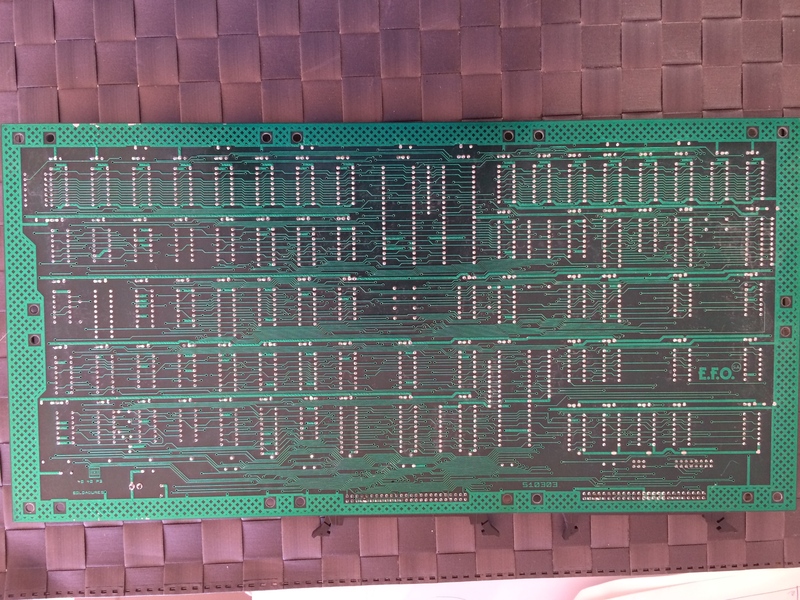 The 4th PCB is another ‘Plane’ board, identical to the 3rd PCB. The only difference here is some jumper configuration. 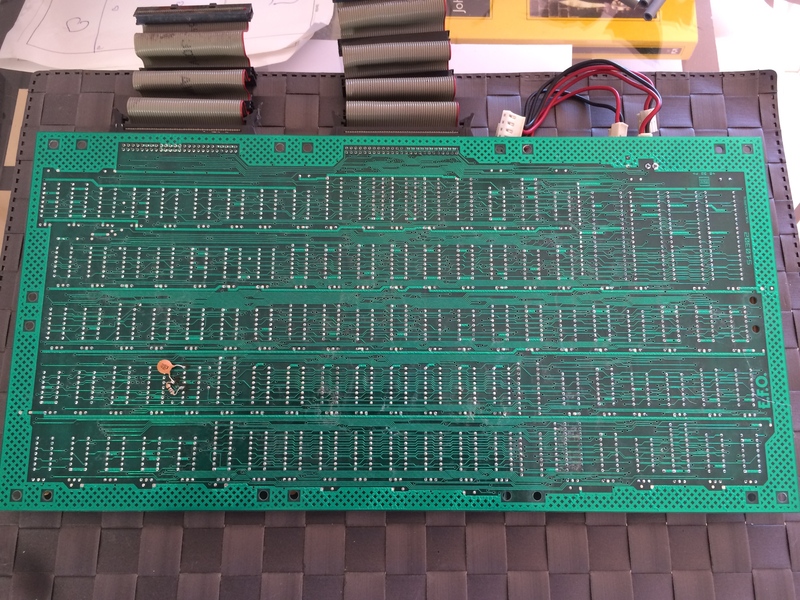 The Sprite PCB sits at the bottom of the stack. 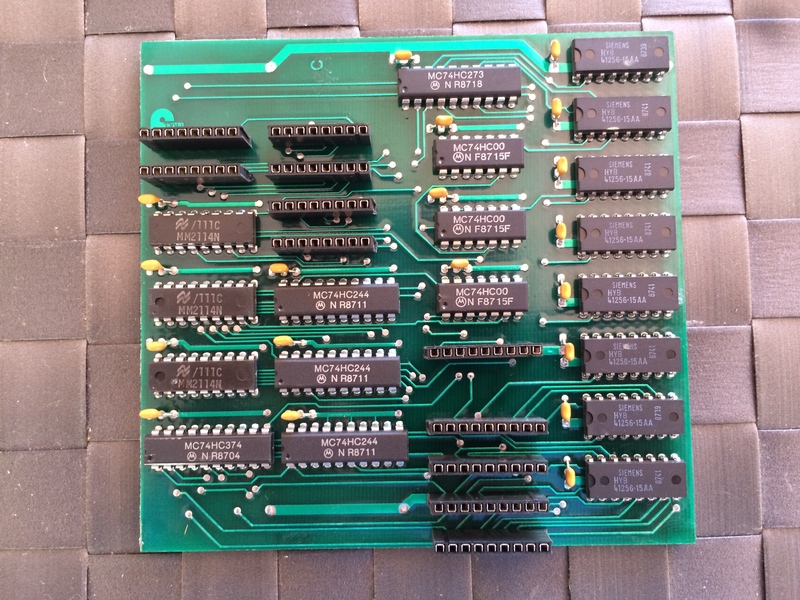 Again we have a Z80, bringing our total Z80 count to 5 (one for each PCB) and this time we have 3 Z80 PIO chips (bringing out total count of those up to 9) There’s also a memory sub-board, which again contains RAM. Ribbon cables are the main way the boards are connected, as you can see from the following front/back/above views of the stack. 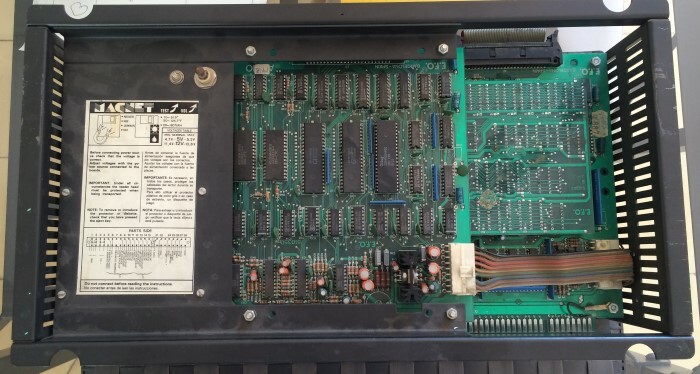 The drive is a Mitsumi drive, there’s also an amusing warning on the panel above it telling you not to put Magnets near the Magnet system disks. 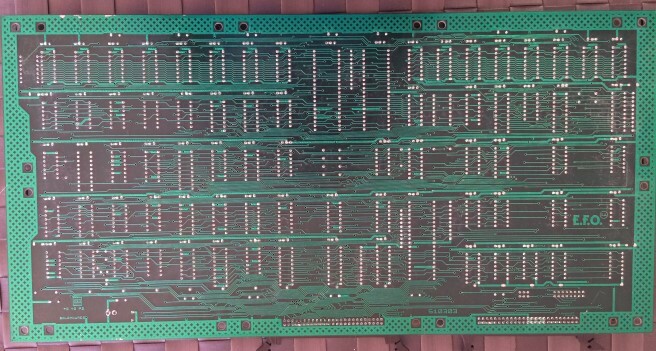 The Top board / Sound board in the initial pictures was obscured by the memory sub-board, so here are some cleaner pictures of both the board, the underside of the board, and the memory sub-board. 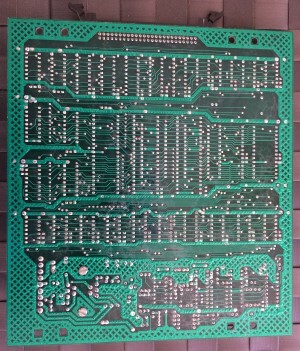 It’s interesting to note that there is a wire mod on the back of the board. 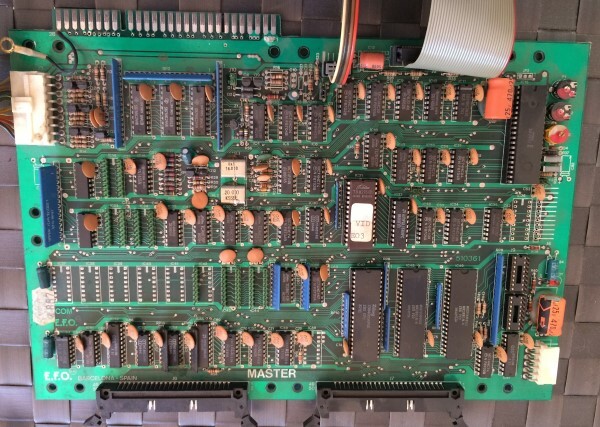 These plug into the PCB where presumably memory chips would have originally been fitted, presumably offering a memory expansion over the initial base design. 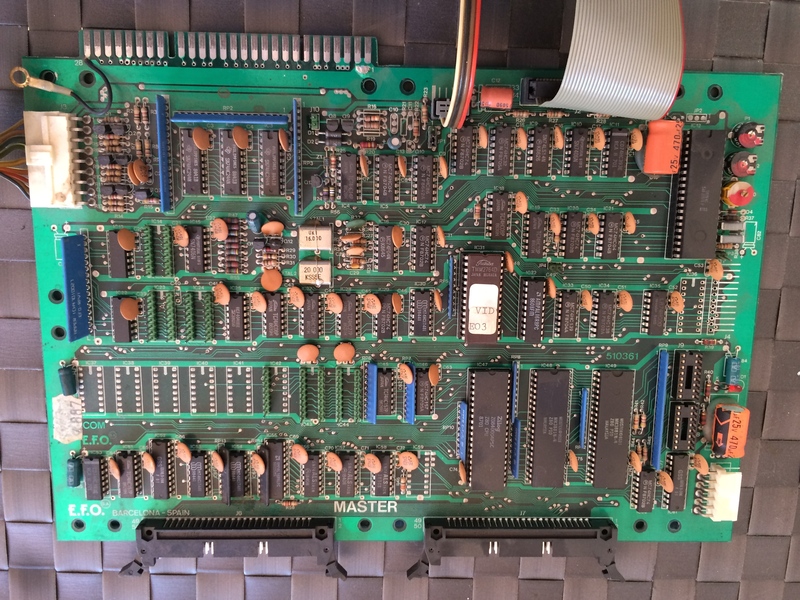 The Sound board and Plane boards have unremarkable undersides, there are no mods, and nothing was obscured by any memory sub-boards on the top views, so not much to show here. 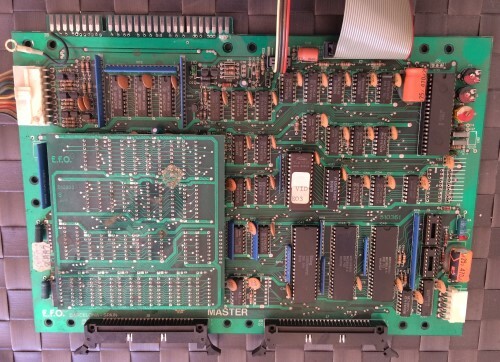 The Sprite PCB was another with a memory sub-board. 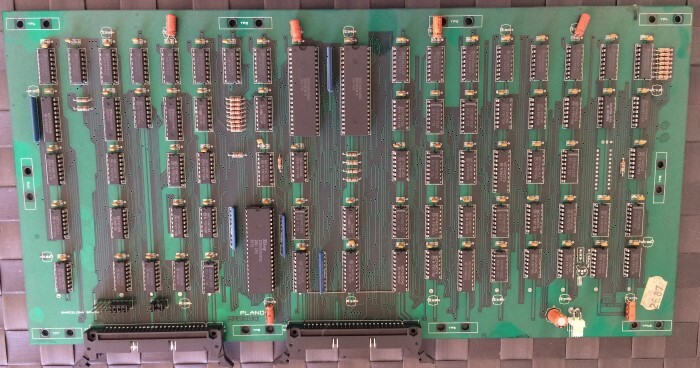 Like the one on the main board this sub-board contains 256KB of RAM, and appears to plug into the sprite board where regular RAM chips would have been places. 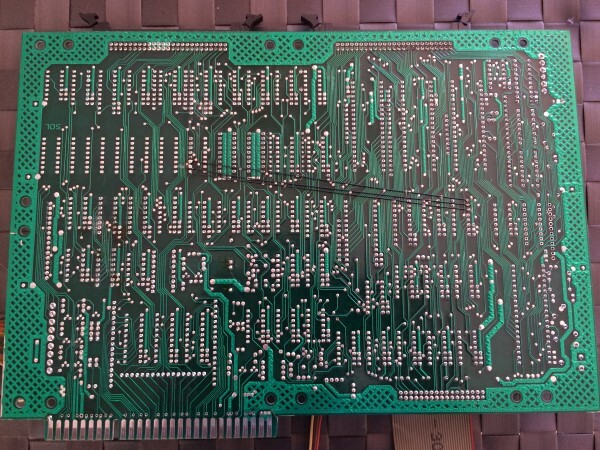 In this case it definitely looks like an afterthought because there are wires soldered directly from the board to pins on one of the PIO chips as well as another chip on the PCB. 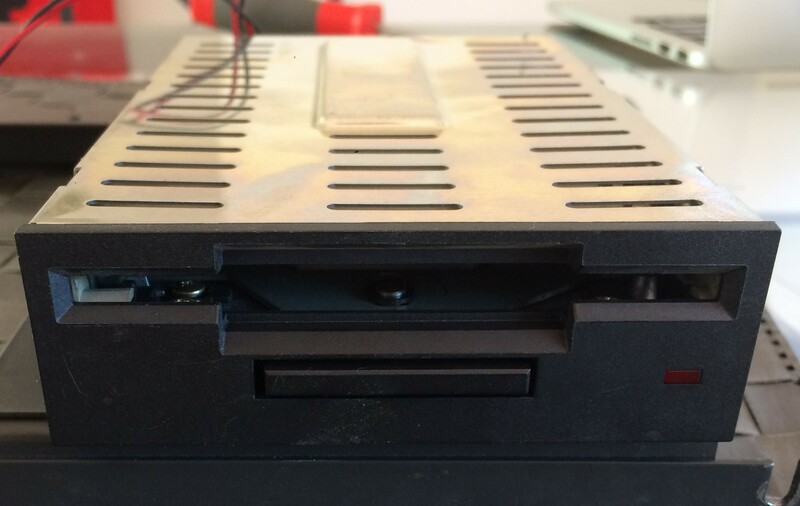 There is also some glue holding it in place, meaning it more difficult to remove, so no clean PCB shot for this one. 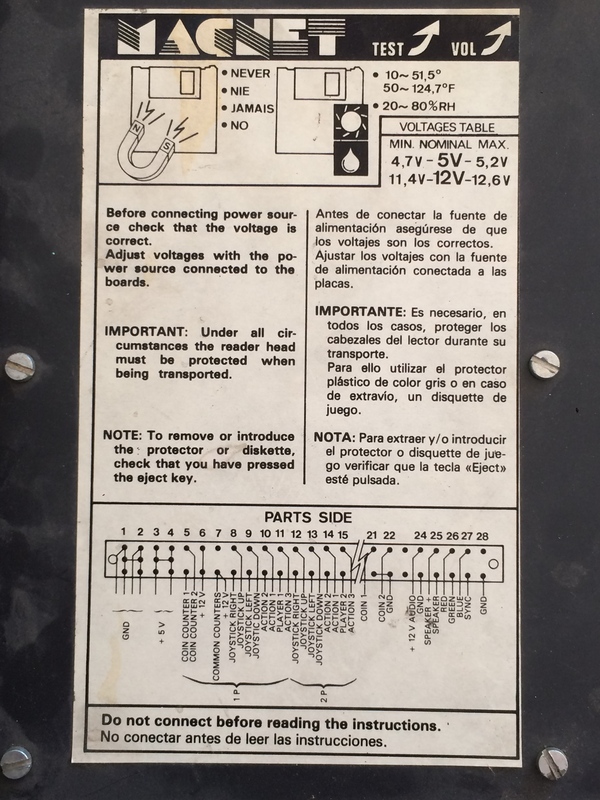 There is a small mod to the back of the sprite board too. 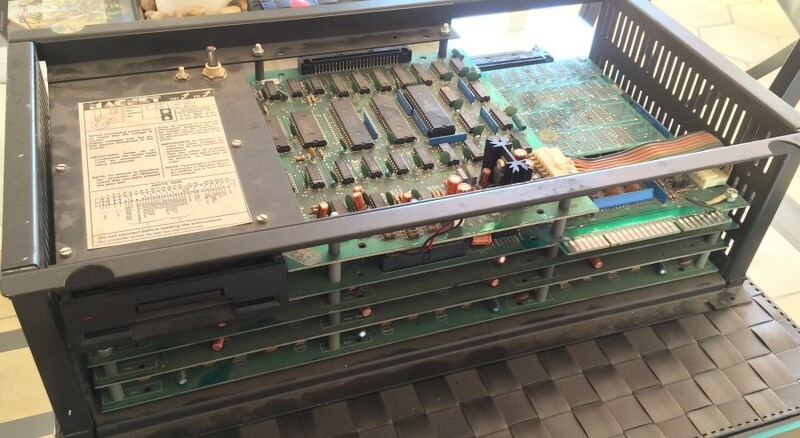 5 Z80s, 9 Z80 PIO chips, 2 Z80 CTC chips, AY 8910s, an OKI M5205 and a floppy drive controlled by a SAB 2797B are the main features to note on this hardware. 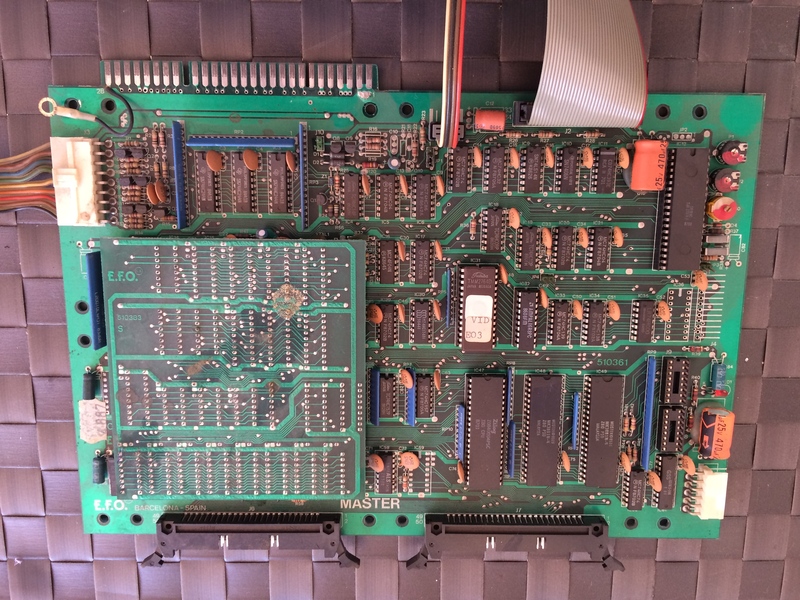 Also a fair amount of RAM, especially when you take all the extra memory on the plug-in boards into account. 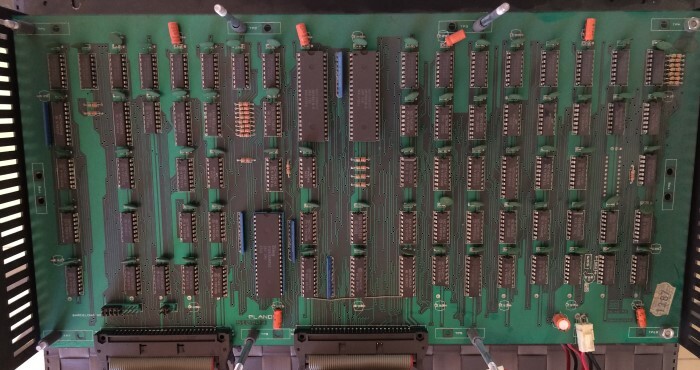 There are no known dedicated video chips on the PCB so everything is done with the logic you see. 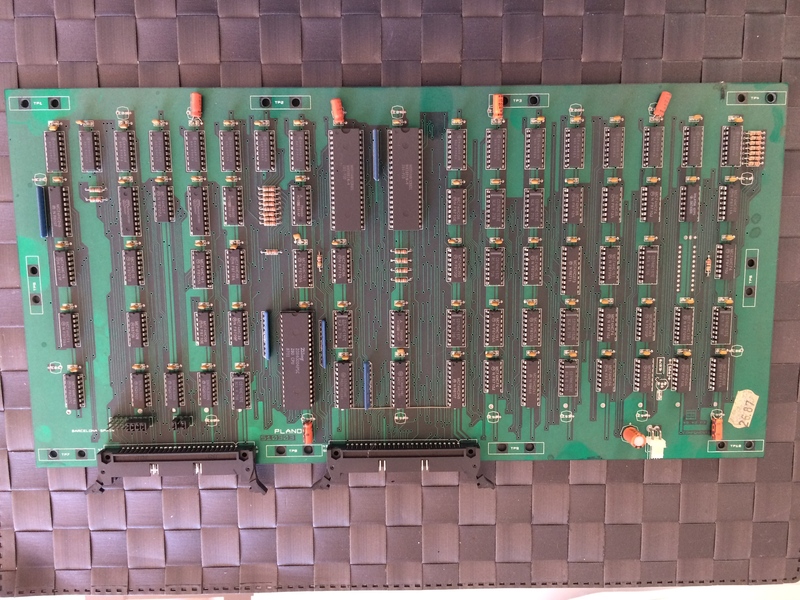 Compared to the hardware the games that were ported run on the only thing that, on the surface, appears remotely close is Exzisus which had a 4x Z80 based setup, however in reality even the Exzisus hardware is very, very different to this, as I would find when I started to emulate it. 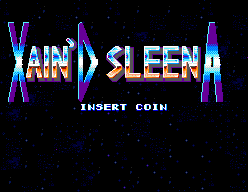 Let’s start this story by taking 3 ‘classic’ arcade games. 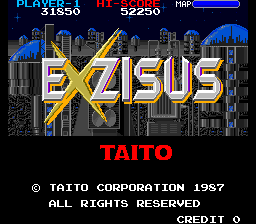 First there’s Taito’s Exzisus, an enjoyable, and, in my opinion incredibly underrated horizontal shooter. 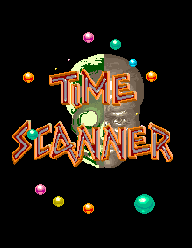 Second, Sega’s Time Scanner, a decent pinball game for the time, although once you’ve played better (Pinball Dreams, Fantasies etc.) it’s hard to go back to it. 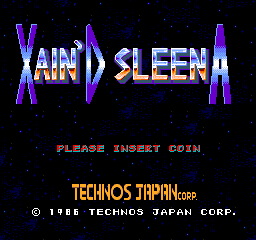 Finally Xain’d Sleena from Technos, an enjoyable walk along run and gun style game. All decent titles, maybe not the first games that come to mind when talking about arcade classics, but better than a lot of the competition. 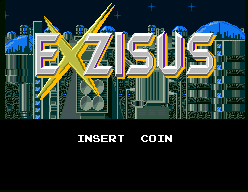 In terms of hardware there’s quite a spread; Exzisus is a unique Taito platform that uses 4 Z80s and a YM2151 for sound. 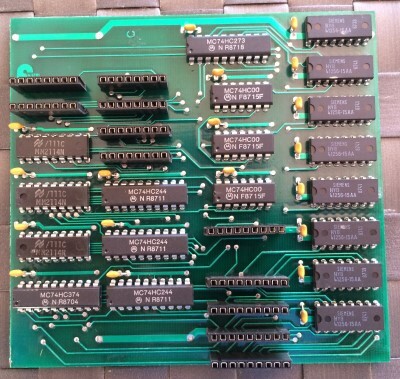 Time Scanner it on Sega’s System 16 board, so there’s a 68k driving the main game with a Z80, YM2151 and uPD7759 for sound. 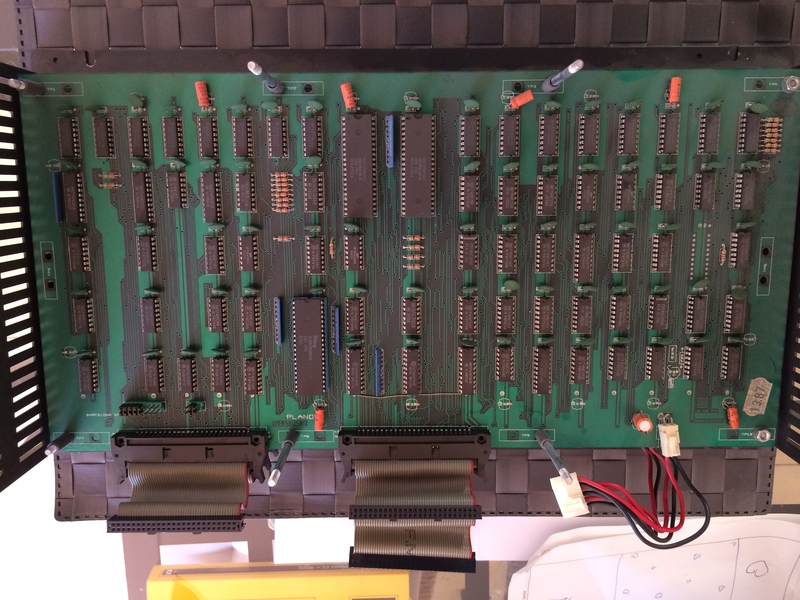 Xain’d Sleena is typical Technos hardware of the period using 3x M6809 to drive the game, an M68705 for protection and 2 YM2203 sound chips. The video capabilities of each platform differ too. 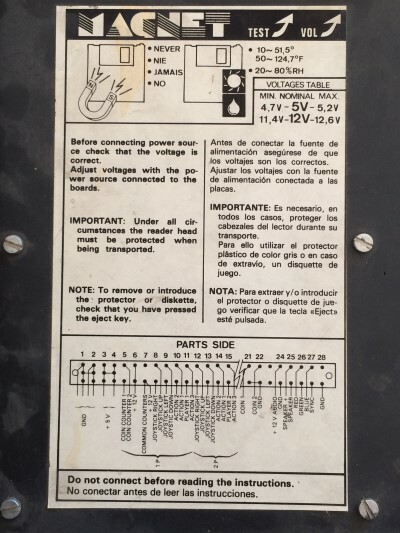 Now let’s look at…. something else. 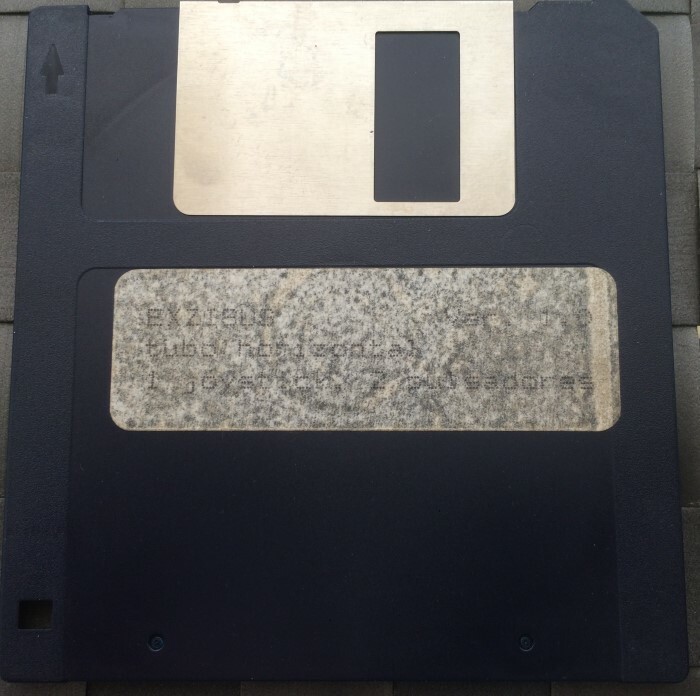 Some bootlegs you might say, big deal. How about this then. 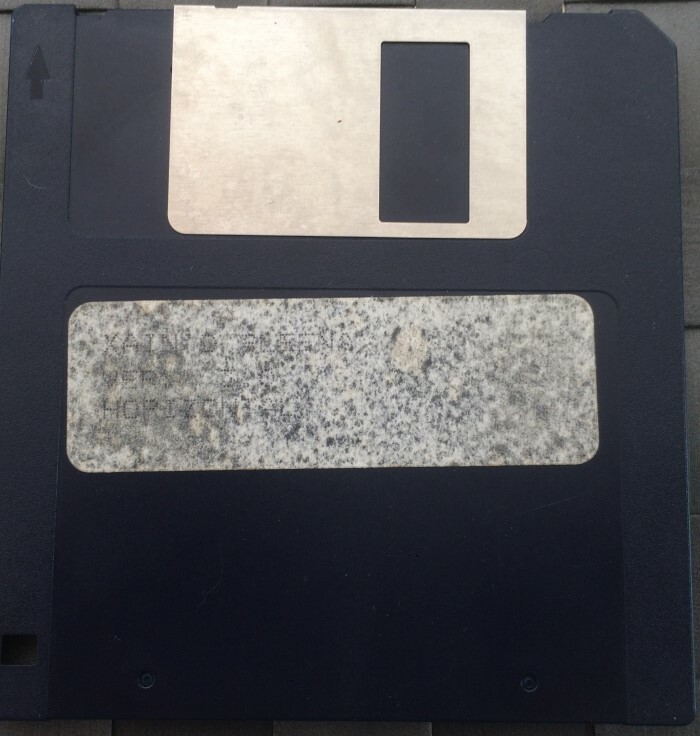 Floppy disks, and you’d probably be following a logical train of thought at this stage to be asking if the pictures on show are of some home ports. 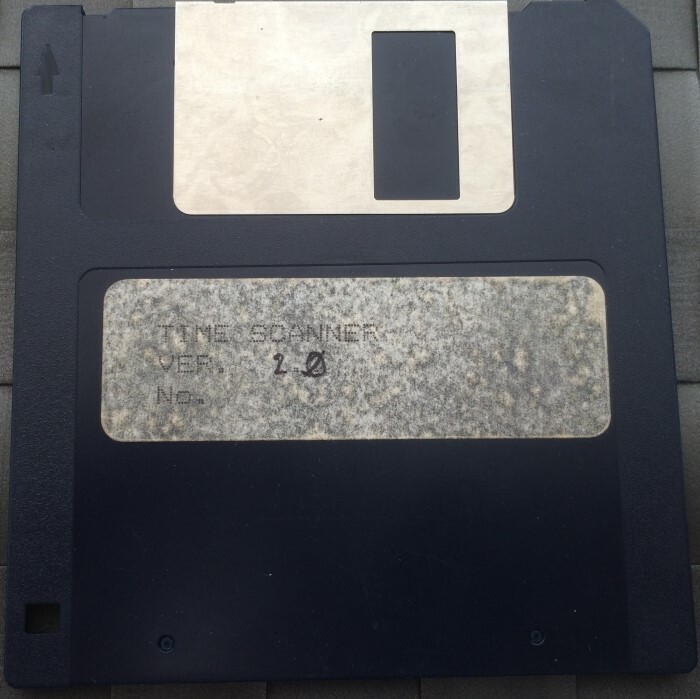 Floppies were not exactly a common sight when it comes to arcades. 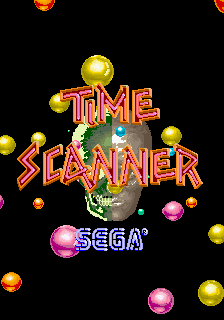 Sega used them with System 24 and some UK fruit machines used them for questions, but otherwise they weren’t exactly common and aren’t exactly known for being amazingly reliable. So are these home ports? No, they’re not, the insert coin messages being displayed aren’t just for show, they really do want you to insert coins, these are arcade games. 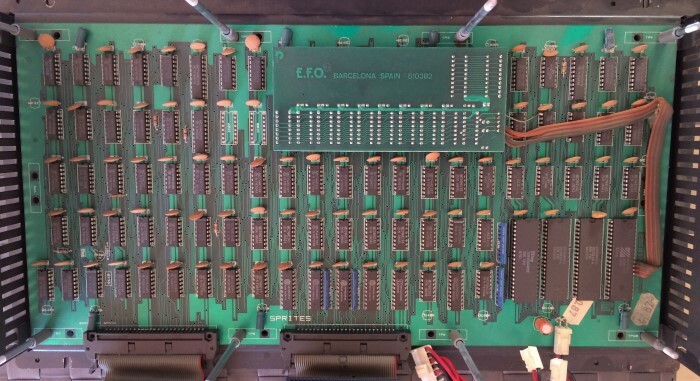 Ports, yes, they’re ports, they’re also prototypes, because to the best of our knowledge the arcade system to which they were ported to didn’t actually get released, despite being well advertised in Spanish magazines; much of the advertising focused around original games on the platform, but ports were mentioned too. I doubt any of them were licensed, so yes, you could also count them as bootlegs. and I’ll have more details later, for now I have to leave the house and travel half the country to Brighton to see Amanda Palmer….